There is a lot of speculation today about how the books in the Bible were ‘chosen’. Did the early church leaders supress material that they did not like? Did they route out and destroy material that didn’t go along with their thinking? Did they pick books arbitrarily? Or did they have good reasons for choosing the books that ‘made it’ into the Bible? If you do a little bit of research, you’ll discover that the early church had specific and very sensible tests that they used to determine which books were included in the Bible. Read on to find out what these tests were and try out an activity designed to teach this to young children. Start off by thinking about this question with your kids: Who could best write a book about your life? When we did this with our kids, we pretended that a publisher had sent us several books about our sons’ lives that had been written by various authors. I had created pretend book covers that included the authors’ names on them. It was pretty easy to guess who could write the best book about their life: Mom and Dad. When asked why, the answer was: ‘Out of all these authors, they know me best’. We then told our kids that the early followers of Jesus had to make a similar decision. Jesus did not write down anything about what He did and said while He was on earth. Other people had to write the book about His life. A lot of people wanted to write about Him and tell others what they needed to do to follow Jesus. How do you think the early church leaders decided which books to include in the New Testament? Answer: They picked the people who knew Jesus best. The people who were in the best position to know and write down the truth about Jesus were the apostles. (The apostles were the leaders in the early church and included the 12 disciples as well as others such as James (Jesus’ brother), Paul and Barnabas). The biggest test to decide which books should be considered part of the New Testament scripture was that they were written by or approved by the apostles. The church was “built upon the foundation of the apostles and prophets” (Eph 2:20). Jesus promised to guide these apostles into all truth through the Holy Spirit (John 16:13). The church was devoted to the apostles teaching (Acts 2:42). The books that became the New Testament were recognized by the early church as being either written by or approved by the apostles. Did the book come with the power of God and have the ability to transform lives? When you think about it this way, the kinds of tests used to select scripture were sensible. However, this doesn’t tell the entire story. We usually think that the early church decided what to include in the Bible, but they actually only discovered the works that God had identified as His Word. God is the real answer to the question ‘Who decided which books to include in the Bible?’ He inspired the authors to write what they did. Only He could have created a book over the span of 1,400 years, three continents, three languages and 66 authors that contained one unifying message: His interaction with humanity. I love the activity you did with the kids. Wonderful idea I will be using with my kids. I once wondered about the Gnostic gospels and why they were deemed to be false. Dr. Peter Williams does a great presentation here http://bit.ly/1vDw3TN presenting evidence for the early writing of the gospels. That evidence clearly shows the Gnostic gospels were almost certainly written after the lifetime of the Apostles and thus are unreliable. Its really a fascinating video if you have the time to watch it. Thanks for the feedback and for sharing the link. I have heard a number of lectures on the Gnostic gospels – Craig Evans and W Lane Craig have been very helpful in my understanding of how they can be evaluated. Overall this is good – I like the parental biogrpahy example! There are, however, a couple factual and theoretical errors that, while widespread, are problematic. These may not matter to kids in a simple explanation, but if they take such things to heart and later discover the errors, it can go bad (e.g., Bart Ehrman). The article says, “The Old Testament canon was set hundreds of years prior to Jesus birth by Jewish leaders. The New Testament was determined by early church leaders well before the Council of Nicea. )” Neither of these, however, is true. The earliest list of the NT canon that matches its final form was that of Athanasius in A.D. 367, and the earliest council to write one up was that of Rome in A.D. 382 – both well after Nicea (A.D. 325). Further, neither of these sources possesed universal authority. Final canonical determinations were not laid down until after the Reformation began (consider Luther’s disapproval of several books). As to the “5 Questions” – this is anachronistic. The actual process was not this simple, nor would it have worked anyway as some of them would include non-canonical books or exclude canonical books. In the end, we need to trust the Church’s recognition of the books as the true canon. Thanks for your comments. I base my comments about the Old Testament canon not on the Encyclopedia Britannica, but the work on Old Testament scholars. An easy source for these is Josh McDowell’s New Evidence That Demands a Verdict. Here McDowell provides several quotes from Bible scholar Davit Ewert, among others, that establish that the canon for the OT was recognized even by AD 90. Even though some rabbis raised questions as to certain books within the OT, there was no discussion of removing them. The OT books included in the canon had been recognized for a long time prior to this time, and accepted as authoritative by Jewish communities. McDowell summarizes that the evidence supports the theory that the Hebrew canon was established well before the late first century AD, more than likely as early as the fourth century BC and certainly no later than 150 BC. McDowell summarizes the conclusions of Bible scholars by saying: “A major reason for this conclusion comes from the Jews themselves, who from the fourth century BC onward were convinced that they voice of God had ceased to speak directly. In other words, the prophetic voices had been stilled.” This meant no addition to their canon. I do not think you can conclude that Luther’s discomfort/disapproval of certain books (like James) is seminal to the canon. If that were so, any major church leader could affect the canon, even today! The main point of what I am trying to say, and that I see repeated by Bible scholars, is that people do not set the canon, they only recognized what was already canonical. The books we have, with some squabbling but general consent, have been considered the canon of the OT and NTs. 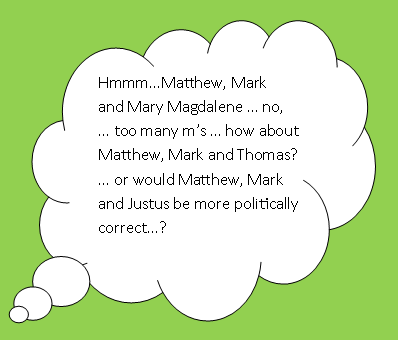 If I take your comments correctly, this may be the major point of divide between us – did God or the church set the canon? My list of tests (or principles) that guided the recognition and collection of the books for the NT canon are a quote from the bible scholars Geisler and Nix, and you are certainly free to debate them on that point! They draw on their own work and that of other Biblical scholars in making this conclusion.